Windows 10 build 14971 is now rolling out. The latest Windows 10 Redstone 2 PC build 14971.1000 is now available to fast ring insiders. As reported earlier, the new builds was compiled on November 11, 2016. Previously, the company released Windows 10 PC and Mobile build 10.0.14965 for insiders. Bringing 3D to Everyone via the Paint 3D Preview app: Starting with this build and going forward, the Paint 3D Preview app is now included as part of Windows 10. Opening Paint from Start will now take you to the Paint 3D Preview app. Please try it out and let us know what you think we should improve or add next! Currently, Paint 3D Preview is only available in English (aka, regardless of your display language, the text will be in English) – support for other languages will be coming soon. Remix 3D Preview, the community counterpart to Paint 3D Preview, is expanding to Austria, Belgium, Denmark, Germany, Ireland, Netherlands, Norway, Sweden, and Switzerland for Windows Insiders today! Remix 3D Preview is currently only available in English but we will continue to expand our region and language support. You can check it out at Remix3D.com and from within the Paint 3D Preview app. Improved Conversion Accuracy for the Japanese IME. We also fixed various issues, in particular, when conversion was used mixed with prediction, and an UX issue when trying to change phrase segmentation. Improved resource usage when typing with the Japanese IME. In particular, we fixed an issue that could result in unexpected graphic glitches after using the IME for an extended period of time. First introduced to Insiders in Build 14926, the experimental “Snooze” action on a tab in Microsoft Edge which provides you with a way to set a Cortana reminder on the website you are viewing is no longer available. Based on data we gathered and feedback we received, we decided to remove it from the product and re-evaluate the feature for a future release. The cursor will no longer be shown while inking – we believe this makes the experience feel even more like pen on paper. Try it out and let us know what you think! We’ve improved reliability when using the protractor and inking in Sketchpad. We’ve updated some of our desktop wizards (including “map a network drive” and “extract from zip”) to now be proportionally sized when moved across monitors. We fixed an issue where Magnifier’s keyboard shortcuts sometimes wouldn’t work on the Lock screen. We fixed an issue that could result in sometimes not being able to completely remove files in the Windows.old folder using Disk Cleanup. We have enabled OAuth support for Yahoo Mail accounts. This will improve sync reliability for those accounts, and provide a more secure experience in the Outlook Mail app. We fixed an issue where trying to shut down the PC while certain Device Manager dialog boxes were open would result in the PC being stuck at the “Restarting…” screen. We fixed an issue where, as closing multiple tabs with middle click in Microsoft Edge, the width of the tabs might change, resulting in potentially unexpectedly closing the wrong tab. We fixed an issue where the copy link option when right-clicking a hyperlink in Microsoft Edge wasn’t work. We fixed an issue where, if you changed the size of the Microsoft Edge window, and then closed the app by closing the final tab, the next time Microsoft Edge is launched it would once again be the default size, rather than retaining the preferred window size. We fixed an issue where pinned tabs in Microsoft Edge were not being restored. We’ve made a number of translation improvements, including for Chinese speakers fixing a translation error in the dialog that appears when installing multiple fonts at once, as well as one in Settings > System > Battery. If you see any other translations that aren’t as you’d expect, please log feedback – we’re listening! We fixed an issue where, if you already hand a notification expanded in the Action Center, clicking the chevron to expand a second notification would result in it expanding then immediately closing. We fixed an issue where preferred Start menu width might not be preserved after rebooting. Navigating to Settings > System > Battery will crash the Settings app. Apps such as Store, Photos, and People may launch on their own after your PC has been inactive for a period of time. To stop these apps from launching on their own, un-maximize the app before closing it. As we have previously announced we are working on the Windows Holographic Shell that is going to be included in the upcoming Windows 10 Creators Update. In today’s flight you will see the Windows Holographic First Run app. While you will be able to launch the app and walk through the first few screens, it won’t detect any hardware. This app and the Windows Holographic Shell is still under active development here at Microsoft and with our partners. 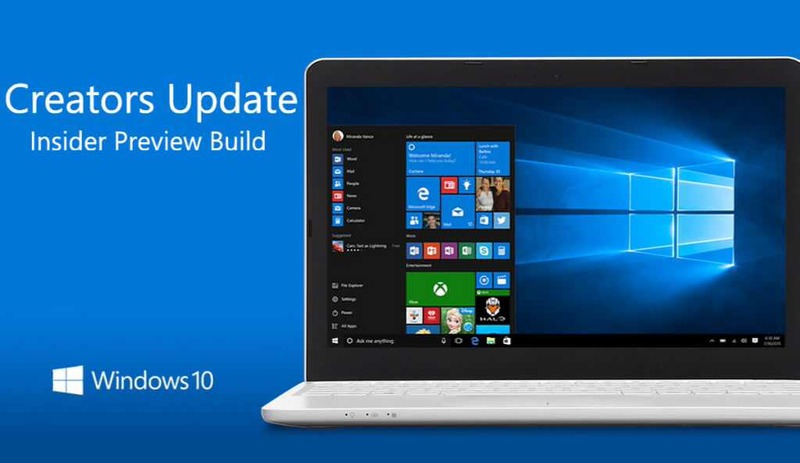 Windows 10 Cumulative update PC build 14393.447 and Mobile build 10.0.14393.448 is also now available. The company also warned insider members that initial Redstone 2 builds will be more buggy than usual. Microsoft next major updates Redstone 2 and Redstone 3 are coming in 2017.